This was a show I was looking forward to because it's held at the base I grew up watching as a kid. To say I was disappointed the 157th ARW wasn't running this was an understatement! First, I want to separate the show organizers from the acts, because they are totally separate. The show was produced by the Daniel Webster Council, Boy Scouts of America and the Brain Injury Association of NH, and that is where the problem started. They turned this show into nothing but Corporate Corruption! Tickets were selling for $25/adult, $20 per child unless you were under 6 and on top of that they charged $10 to park. If you did buy your tickets online before the show they did take $5/ticket but it was rain or shine, no refunds were given. The fact that the ANG wasn't involved was the only reason they were able to charge for this show. Then once you got on base, 80% of the front row was nothing but large white corporate tents that kept the true air show fans far behind the fence line. I was looking forward to bringing my kids to this show and only because I was able to get 3 VIP tickets given to me Friday afternoon did I end up going. To just get in was going to cost me $75 and that didn't include food, drink or souvenirs for 2 boys. First I went to shoot the practices on Thurs and Fri only to be told we couldn't stand near the fence line like we've done at every other air show and any other day I'm there shooting other military planes shooting practice approaches. They had the entire grass area and all parking lots taped off with yellow police tape. They didn't want anyone getting a free show, there were more precautions for this show than when Air Force One arrives. I PRAY that the NH ANG take this show back the next time they think of having it. Now I want to talk about the acts, because they were incredible. Between my two practice days I saw some great activity, but my half day on base with my kids was difficult shooting. Pease is an old SAC base, and the runway is very far from the crowd line. Then by noon you're shooting into the sun so you might as well put the camera down and enjoy the show. The civilian acts involved were local pilot Rob Holland, Sean Tucker also attended as did Michael Goulian and John Klatt. A new group for me this year was TEAM MS760, these were two Black and White French Built 4 seater jet aircraft. They were flown by Ret. Navy Capt. Dale "Snort" Snodgrass and Ret. USAF Lt.Col Jerry "Jive" Kerby. 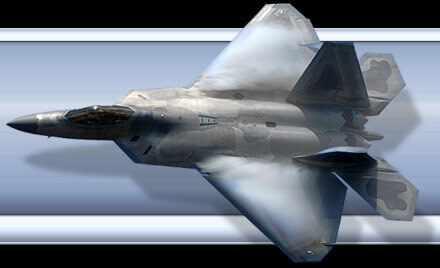 For the Military Demo's attending it was a loaded show, they had the F-15E Strike Eagle Squadron from Seymour Johnson. Unfortunately they weren't able to go up to practice on Friday because the 757 they had come in for the Airplane pull blew sand up the engine intakes and the crew had to make sure the engine blades were clean before starting their engines. They did go up over the weekend but it was after I left with my kids. The West Coast F-18E Super Hornet Demo from NAS Lemoore CA. The East Coast F-16 Viper Team from Shaw AFB. Another first for me was the Brazilian Air Force Smoke Squadron. This is a 7 ship Team flying the Embraer T-27 Tucano jet- prop aircraft. I'm not normally a fan of the slow prop aircraft but these guys flew very tight formations and their aircraft colors were great to shoot in the blue skies. The US Navy Blue Angels were the shows closer, it's been 20 years since they've last been in Portsmouth. Back then it was Pease AFB, which was a SAC base flying FB-111's and KC-135's. Being able to watch the Blues fly their Thurs flights marking their turn in points and then their full practice on Friday was great. Being outside the fence did give me some different angled shots that you don't get while on base for media day. I was able to get my kids to see them fly Sunday afternoon from a local parking lot. With my oldest listening to my scanner as the "Boss" kept the pilots pulling through their maneuvers was a highlight for him. One of the 4 ship pilots called out over the radio, "that was awesome boss!" and that just made him so excited which is all I wanted. 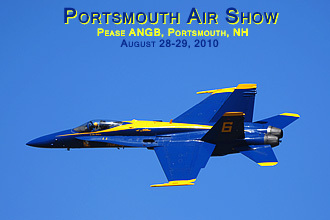 As much as I'd love to have another air show here at Pease, if the Brain Injury is running it again I hope the military teams boycott this show and just go to Quonsett RI, Westfield or Westover MA or even NAS Brunswick which is supposed to have one more air show in 2011. Air shows at military bases have always been, and should always be free. If you want to ask for a donation that's fine, but enough with the Corporate Corruption that was displayed at Pease this year.